Up next was Lights, an artist I’ve heard a ton about, but hadn’t listened to a lot before her latest album. Dedicated fans in the crowd had bright red hair to match her and were dressed up in cosplay as the character of her Skin&Earth graphic novel. She genuinely seemed like the sweetest person while on stage, taking time to sign a fan’s shirt and calling out the red hair she saw. While she seems soft-spoken while talking, her voice is a powerhouse when she’s singing. Her range is outstanding and everything she sang sounded perfect. She played mostly new songs, but she definitely made me want to check out her older stuff. 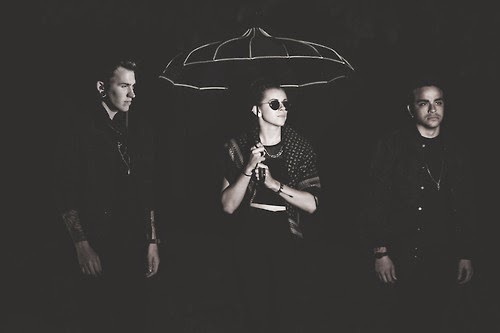 PVRIS came out with a bang, starting with “Heaven” and an awesome stage background, the lights and images on screens perfectly evoking the feel of their music. They played a good mix of old and new songs in the first half, with the middle featuring only Lynn and guitarist Alex Babinski on stripped-down versions of “Same Soul” and “White Noise.” A highlight of the show, Lynn’s ethereal vocals soared. They powered through the rest of the set, ending with “My House” before the encore, “No Mercy.” One of my favorite songs off the new album, I was glad to see everyone else loving it as much as I did. It seemed to be where everyone, including the band, absolutely let loose and went nuts, with Lynn coming into the crowd towards the end. Before the band left the stage, they started playing “All Star” over the speakers, laughing as they walked off with the crowd singing all the words until they made their way out the doors.